A Mughal carpet with naturalistic vegetal patterns and mille-fleur design. Starting in the 16th century, the Safavid, Ottoman and Mughal dynasties transformed carpet weaving -- which until then was a cottage industry based in small villages -- into a fine art and major export to Europe and Asia. 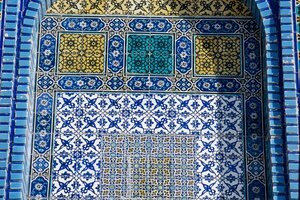 Although the patterns on Islamic carpets have no specific meanings, they do reflect a specifically Muslim worldview. The export of carpets from Iran started in the 16th century, initiated by Shah Abbas as part of an effort to improve the economy and attract European trade. Of the many carpets exported, the most popular was a type known as Polonaise, so called because people originally believed the carpets were made in Poland. Polonaise carpets are known for vegetal motifs -- traditionally called arabesques -- that abstractly represent the Garden of Paradise. Many Polonaise carpets in European collections incorporate the coat of arms of the families that commissioned them into the pattern. Traditionally, Turkish carpets depicted animals and had complex geometric patterns. After Ottoman conquests in Persia and Egypt, however, carpet patterns altered to incorporate other designs and traditions. Ushak medallion carpets, for instance, take nomadic tribe designs and combine them with a field of arabesques that, from a distance, imitate a spots-and-stripes geometric pattern. 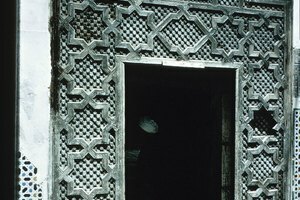 There is also typically a faux-kufic script framing the edge of the carpet, and a central medallion. This type of pattern appears on illuminated manuscripts and tiles as well. Before the rule of Akbar, very few carpets were made in India, and those that were imitated the Persian style. 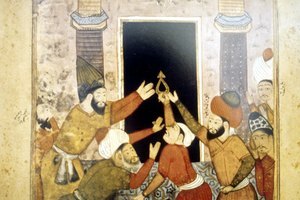 Starting in the 17th century, however, the Mughal court became fascinated with European engravings and illustrations, which spawned a unique style. The vegetal motifs on these carpets -- which previously were simply generalized vines or palmettes -- became very naturalistic and complex. Mughal prayer rug makers, meanwhile, innovated the use of a mille-fleur design to create the sense of a walled garden. 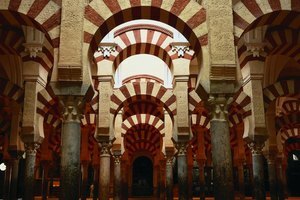 Patterns in Islamic art generally don't have iconographical meaning, but rather a more philosophical one. 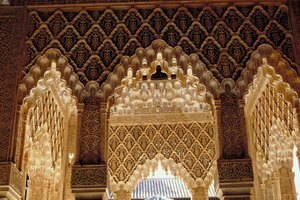 Patterned motifs are employed to bring beauty and harmony into the world, and reflect both God's, or Allah's, unity and diversity. 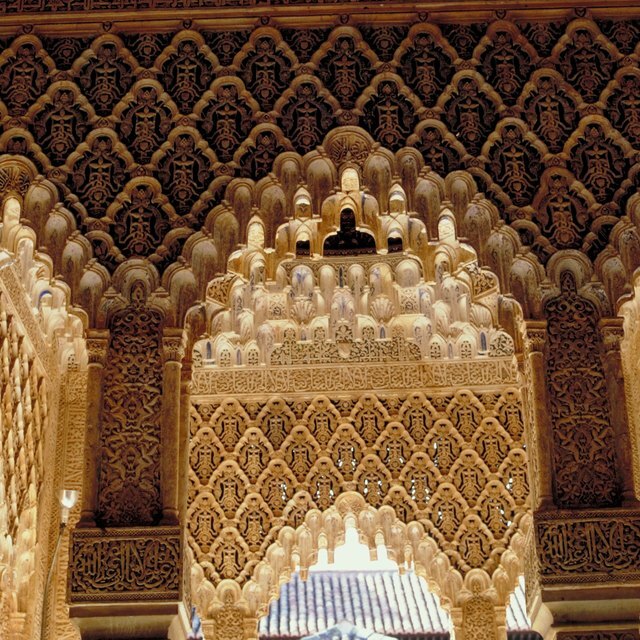 Patterns are perfect expressions of this worldview because of their symmetry, which reflects cosmic equilibrium, the purity of numbers and harmony. 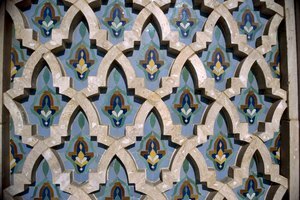 According to the "Pattern in Islamic Art" website, patterns are used to highlight the impermanence of earthly objects in the face of the order of heaven. Brandstatter, Tasha. "Islamic Rug Design Meanings." Synonym, https://classroom.synonym.com/islamic-rug-design-meanings-12086284.html. 29 September 2017.